Net Control 2 is a classroom management software, specially designed for educational environment, libraries, Internet Cafes. It is award-winning, ultimate and universal solution for teaching, network managing, presentation making. Perfect for teaching process organization and arrangement of communication between students and a lecturer. 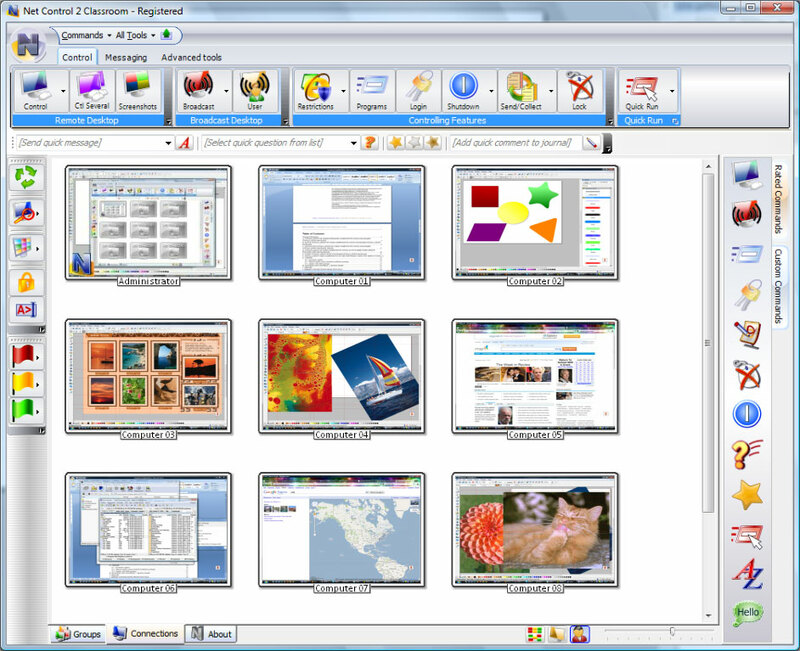 Net Control 2 includes original Broadcast Desktop teachnology, which allows broadcasting the image from teacher's Desktop to multiple student computers, without any performance and quality losses. Using Remote Desktop feature, the teacher can help students to solve problems without coming to their computers. Manage access to Internet, lock computers to attract attention, use Virtual Whiteboard and Desktop Recorder teaching tools, communicate with students using various messaging tools, including text message services, chats and Speech Manager. Net Control 2 supports all modern versions of Windows, including Windows 7 and Vista. It was specially designed for easy management multiple computers at a time. Easily may be used in both conventional and wireless local networks without any additional configuring. In addition, we are proud to offer this software for the lowest in the industry cost of licensing. Evaluation version may be tested for free of charge on up to 50 computers within 30 day trial period. Just try it now! Author: Net Software P.C. P.C.